First off, what's the difference between beetroot and beet? Beet includes a variety of plants including sugar beet and beetroot. Beetroot is the vegetable we grow in the garden mainly for its bulbous root. Having said that, in the US the term beet is used instead of beetroot. Sometimes beetroot is referred to as garden beet. In this article we refer to beetroot because it is more specific than beet. The majority of beetroot seed is normally a cluster of three or so seeds. 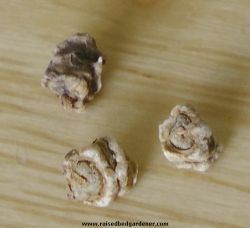 When you sow these cluster seeds (see picture above) you may end up with three seedlings which will need to be thinned out to the healthiest one. 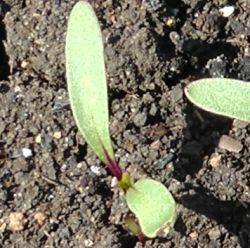 Much effort has been put into producing beetroot seed which is not a cluster of seeds but just one seed - known as a monogerm seed. These are becoming more common nowadays. The benefit of monogerm seed is that it requires less thinning compared to cluster seeds but they do still require some thinning. This was awarded an AGM (Award of Garden Merit) in 1993 and this was confirmed in 2013. The excellent texture is retained over a long time with excellent taste. This variety is a monogerm which was awarded an AGM in 2005 and was also reconfirmed in 2013. It tastes great and the colour is deep, deep red. Pablo matures early with a very smooth skin, great taste and colour. It is more resistant to bolting compared to most beetroots. Awarded an AGM in 1993 and confirmed again in 2013. This variety has good colour, great taste and a very smooth skin. We like this one even though it has not been awarded an AGM. When selecting a seed variety read the label carefully because beetroot come in lots of different shapes and sizes and there are even white ones. Note that all the advice below applies to growing beetroot in raised bed and containers but beetroot grows equally well in grow bags which are just another form of raised bed. Sow a few seeds at a time starting in early April through to early June. If you can provide some shade, sowing can continue up to early July. Don't sow all the seeds at the same time because you will end up with a glut and beetroot do not keep well. We always sow our beetroot seed straight from the packet and have never had a problem. Some gardeners soak the seeds to be sown in water for a couple of hours immediately prior to sowing. This is said to remove the chemicals on the seed which stops them growing. Well, we have a packets of beetroot seeds from both Suttons and Thompson Morgan in front of us and they make no mention of doing this. It's up to you, soaking the seed will not do any damage though. Draw out a line in the soil in the raised bed about 1½cm / ½in deep and place one seed every 1½cm / ½in in the row. Cover the seeds with soil, gently firm down with your hand and water. 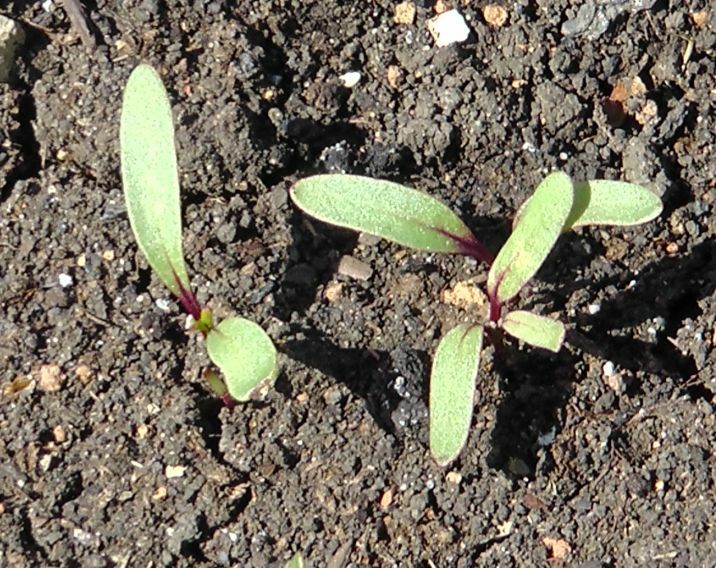 When the seedlings emerge after 10 days, thin them out to one seedling every 2½cm / 1in. After three or four weeks thin out again gradually to 1 beetroot plant every 5cm / 2in. These thinnings will be baby beetroot and they taste delicious raw or lightly cooked. Our standard raised bed feeding and watering program (see this page) will be fine for growing beetroot. Weed as well to reduce competition for water and nutrients. Watch out for birds pecking out the young seedlings. You can prevent this by covering the raised bed with horticultural fleece for a couple of weeks, by that time the birds will ignore them. Harvest when they are about 5cm / 2in round for tasty and tender beetroot. If they are left in the ground much longer they will start to go woody and lose their delicate taste. Harvesting generally commences in July and finishes at the end of September. To harvest beetroot from a raised bed, grip the foliage near to the beetroot and gently ease it out of the ground. Some varieties may need the help of a trowel to free them from the soil. Cut the leaves off leaving at least 2cm / 1in still attached. If you cut closer the beetroot may start to bleed. This not only makes a mess with red beetroot but it also looses moisture causing them to shrivel up. Do the same with the root - leave at least 2cm / 1in still attached. The leaves of beetroot are edible and very tasty in salads, they can also be used as a substitute for spinach. Beetroot will keep in the fridge for a couple of days but freshly picked beetroot is truly one of life's great delights. For longer storage, pack the beetroot in sand in a box and store them in a cool dark place, they should keep for a couple of months but will never taste as good as fresh beetroot.